The government is touting the project as a solution to the water crisis of Delhi and other states, however, water experts strongly question the efficacy of the project. The revival of the Lakhwar-Vyasi dam project in the Upper Yamuna basin in Uttarakhand has once again raised the question of the loyalty of the government towards its commitment of conservation of river basins. On August 28, 2018 the government of India signed off on a Memorandum of Understanding (MOU) with six state governments to go ahead with Lakhwar-Vyasi multi-purpose project even though the project is being examined by the National Green Tribunal (NGT) due to environmental concerns. The court has not yet made a decision on the project. The government aims to complete the project by 2023 that will come at a cost of INR 400 billion (USD 5.5 billion). 90% of the cost is to be spent by the central government while the remaining 10% of the cost will be borne by the states of Uttar Pradesh, Rajasthan, Uttarakhand, Haryana, Delhi and Himachal Pradesh. Lakhwar-Vyasi is a 300 MW hydroelectric project (HEP) that involves the construction of 204 metre high concrete dam with a huge 40 kilometre long reservoir on the river Yamuna near Lohari village in Dehradun. 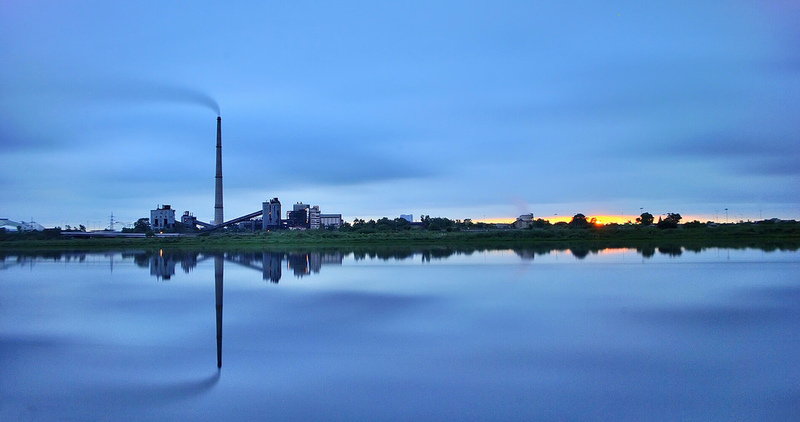 It was initially envisaged as part of the larger integrated development project that includes the Vyasi run-of-the-river HEP (with two units of 60 MW each) downstream of the Lakhwar HEP. The construction work on Lakhwar Vyasi project started in 1987 and stopped in 1992 due to lack of funds. While the work on Vyasi began in 2014, no work has begun on Lakhwar dam itself since 1992. However, environmentalists are concerned that the environmental and social impacts of bringing such a mega project in an ecologically fragile area are being overlooked by both the centre and the states and that the government has announced the project even though the matter is in the court. First and foremost, there is a fear that because it is a huge reservoir dam, it will kill the flow of river Yamuna downstream. This will have a large impact on the agriculture-dependent states like Uttar Pradesh and Haryana. Tehri dam was built on the Bhagirathi river at Tehri in Uttarakhand and has been blamed for the significant reduction in flow of water of Ganga. The Tehri reservoir is around 42 kilometres in length, similar to the size of proposed Lakhwar reservoir on the Yamuna. The project site is also located in an earthquake-prone zone making it vulnerable to disasters. Moreover the site is downstream of where the Aglar river meets the Yamuna, a stretch which is rich in mahseer fish and will impact its movement and population. The biggest point of contention is that the project was allowed to go ahead without any scientific studies or proper environment impact assessments (EIA). It had received a clearance in 1980s but experts argue that it was done at a time when the level of environment consciousness was different and the report only talked about the loss of trees and the diverted forest land but not of its direct or indirect impacts. “It doesn’t have an EIA, no public hearing, no appraisal. Just one clearance given in 1980s. The work was stopped in 1990s. There is no community impact assessment, no disaster impact assessment. It is a high seismic and landslide prone area. It is also a part of Ganga river system, how will it affect the Ganga rejuvenation? Where is the study? There is also no formal agreement on water sharing between the states that are already reluctant to share water,” said Himanshu Thakkar, an IIT engineer and coordinator of South Asian Network on Dams, Rivers and People (SANDRP), said. Will it solve Delhi’s water crisis? Even though the government is touting the project as a solution to Delhi’s water crisis, water experts have strongly questioned its efficacy. It is not the supply but the management of the water that needs to be dealt with. “Kapil Mishra when he was Delhi’s water minister had said publicly that Delhi does not need water from Renuka dam or any other external source. Then why is the chief minister Arvind Kejriwal is supporting this project and going ahead with it? Kejriwal had also [said] that Delhi doesn’t need more water earlier. There is also a study by INTACH that also concurs that [better management is what is needed]”, said Thakkar. Experts say that Uttar Pradesh is located in water-rich Ganga river basin and Haryana gets its water from Yamuna, hence their justification to draw water from this project is not justified. Environmentalist Manshi Asher from Himdhara Environment Research and Action Collective said that Himachal Pradesh is a signatory under the upper basin agreement even though the state itself is struggling with financial viability of its hydropower projects. “There are three projects planned in Himachal including Renuka and Kishau dams. It needs to be analysed if these dams are going to bring more destruction or gains. Also, financial viability is a question. 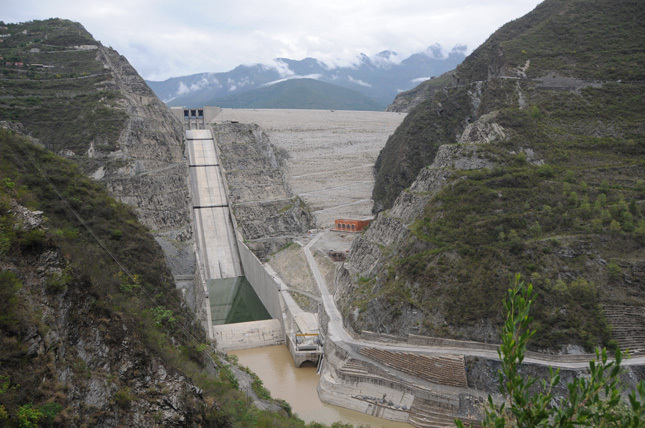 Himachal has not begun work on the proposed dams due to lack of financial viability. It is already facing revenue losses from the existing dams. The cost of loss of forest is extremely high. The cost-benefit analysis needs to be done before embarking on such projects,” said Asher. Experts also pointed out despite rising cost of hydropower and the fact that globally countries are distancing themselves from large hydropower projects given their lack of financial viability and ecological damages, India is still focusing on massively expensive and environmentally destructive large hydro projects. Even as the environmentalists demand for more transparent mechanism of project clearances and the need for inclusive and fair participation of local communities in the decision making process, political agendas are reviving projects that are questionable from river conservation point of view. This article was originally published on The Third Pole. Read the original article.